Few things bring back memories of childhood as readily as hearing the theme song from our favourite youth television show. Each generation has one or a few classic tunes to bring them together. 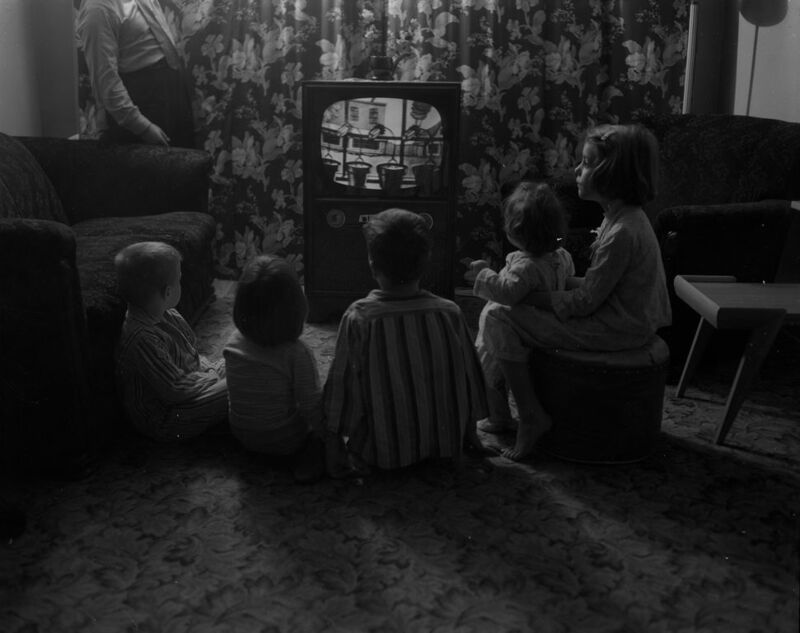 From the founding of the Canadian Broadcasting Corporation in 1952, Québec became a creative hub for children’s television shows. 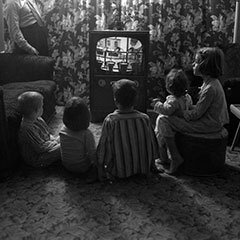 From the start, the first public television network in Canada stood out, thanks to the exceptional quality of its youth broadcast. In the following decades, new private stations such as Télé-Métropole (TVA, 1961) and Télévision Quatre-Saisons (TQS, V, 1986), then of Québec’s public network Radio-Québec (Télé-Québec, 1972), made for a more diversified programming. In recent years, young viewers have a lot more to see on all the specialty channels that now exist, such as Canal Famille (VRAK TV, 1998) and Télétoon (1997), just to name a few of the Francophone options. Interview with Denis Dion, DMA, Composer, about the importance of music in creating emotion and atmosphere. He also talks about the music of children's TV shows. When I talk about music, I like to start by saying that music begins where words end. Music carries in its essence something invisible, an emotional element. You have to seek this element if you want music to set a mood or carry an emotion. Close your eyes, watch a series or a TV show and see how music is part of the emotion you feel as a spectator or listener. And when we talk about music in TV series for children, we have an advantage that is rather important, to see how children are obviously not yet in their analytical period, analyzing the musical structure, so they are receivers that are open to all possibilities, all trends. What is fascinating when you look at the history of music, let's say TV series for children, is to understand the evolution, but also to understand the investment that stakeholders, such as actors, have in the production of music. In both cinema and TV series for children, they use music that was already written; we could easily take something from classical music like an extract of symphony or sonata that was appropriate in the context of what we wanted to say. When we got to the period that for me was the most fun, when we said "I might find someone who can mimic the action with music, who can craft the music I need to exactly get the emotion I want to express as a director at that very moment." The composer arrived with ideas, opinions, and ways of expressing this invisible magic that is music. The composer arrived with tools, instruments, music. Today, computer-generated music is very important since a lot of people are now composing music in their home studio or at home, so we have music that is a little bit different. What is impressive when you think about music, it’s how much a part of us it is, and how much it’s a part of our history, we could almost say a part of our genes. And when you think about it, when we close our eyes for a bit, we immediately sense something like a taste, a flavour, a kind of impression that is inside of us at all times, maybe our childhood TV shows or an emotion that is related to them. I think music is very personal and still very much inside of us, and hopefully, it will be for a long time. Broadcast in black and white, this television program introduces a cast of hand-puppets, among which are the two main characters Pépinot and Capucine. The plot revolves around their efforts to counter the evil Panpan’s plans, with the help of a friendly bear. The original series includes 41 thirty-minute episodes presented by the CBC, then Pépinot and Capucine’s adventures went on in the Pépinot series (1954-1957). On this show, Mister Surprise played by Pierre Thériault hosted different guests, most often characters from other youth programs such as Fanfreluche, Sol, Gobelet, the Pirate Maboule, Marie Quat’Poches, Picolo and many more. On air for nearly thirty years, with more than 5,000 episodes broadcast, Bobino is one of Québec’s cult youth TV shows. Each episode centres on Bobino’s (Guy Sanche) visits to his friend Bobinette a puppet handled by Paule Bayard then by Christine Lamer. Other characters complete the cast, while remaining off camera, like Camério, Tapageur, Télécino, Gustave, Général Garde-à-Vous, Professor Barbenzinc, Monsieur Plumeau, Mademoiselle Abricot and Mademoiselle Prune. Fanfreluche is a rag doll played by actress Kim Yaroshevskaya. She loves to read stories to children. When she was unhappy with how the story played out, she would physically enter her large storybook to change the course of events. Her interventions often put her in risky situations. The series is composed of 46 thirty-minute episodes. The opening tune of this series is one of the most memorable of Québec’s repertoire. The two main characters of this TV show are both clowns played by Marc Favreau and Luc Durand. In the simple decor of their apartment, they imagine all sorts of incredible adventures. These clowns are masters at subtle comedy, irony, puns and wordplay. In fact, following this show, Sol launched an international career with his charming monologues. One of the most popular children’s TV shows of all time, Passe-Partout has left its mark on an entire generation, to such an extent that this age group is dubbed the "Passe-Partout generation". Designed for preschool education and financed by Québec’s Department of Education, the show aimed to instill self-confidence in children and to stimulate their development. The program follows the title character’s adventures with her friends Passe-Montagne and Passe-Carreau, as well as those of a family of puppets including Cannelle and Pruneau. Broadcast daily on the CBC, this program is centred on Ciboulette, a puppet of a gray cat, and Félix, her human friend. Ciboulette loves to play pranks on her friend and neighbour dog Noiraud, always giggling mischievously throughout. Starring singer Nathalie Simard, this television program explores the little girl’s world and presents her village of friends: Caboche, Mademoiselle Bric-à-Brac, Beding-Bedang, Monsieur Arrêt-Stop, Rouge-à-Lèvres, Professeur Cric-Crac-Pot and Gros-Bon-Sens. Young Nathalie’s adventures often translate into songs. A total of 108 episodes were taped. This series, broadcast on the Canal Famille, recounts the discovery of Earth and of its inhabitants way of life by Bibi, an alien puppet with a shock of green hair. Thanks to his friend Geneviève’s explanations, Bibi Z99944X set out to understand the human species in 650 fifteen-minute episodes. Broadcast on Télé-Québec, this television show presents Cornemuse (whose name literally means bagpipes), a canine veterinarian. She takes care of four animal children: Kounga the kangaroo, Tibor the tiger, Rafi the racoon and Bagou the monkey. These kids come from very different types of families, allowing the show to address today’s social issues. 177 twenty-seven minute episodes were produced. This television series invites kids to explore a playful and inventive world. Living in a village enclosed by mountains, Youï, Alia, Kao and Zalaé travel all over Earth thanks to magical doors. They make all kinds of discoveries, invent games, make up songs, and nurture their imagination. 65 Toc, toc, toc (meaning knock, knock) episodes are broadcast annually.